Ashley acknowledges that her love of teaching and her teaching philosophy and approach are direct results of those early years spent in Berkeley Hall classrooms from ECD to graduation. 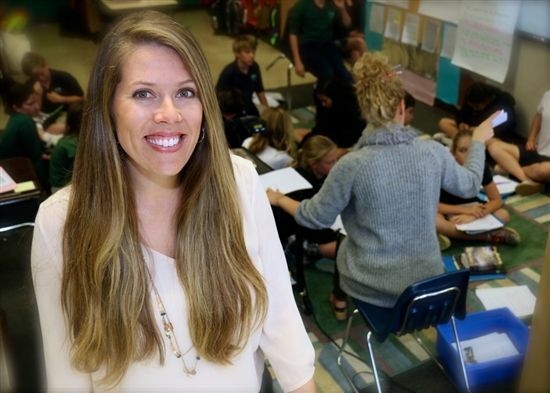 She is quick to emphasize that she strives to express the same compassionate, supportive teaching persona coupled with precision and purpose that her own Berkeley Hall teachers had. Perhaps most important of all, Ashley brings the same dedication and passion that her own teachers here demonstrated. Ashley studied history and education at UCLA, followed by a Master’s Degree in Education. Her strong desire to embrace the world took her through remote parts of Asia and Europe teaching Kindergarten, 3rd and 4th grades, GATE students, and English-language learners. Ashley complements different instructional strategies with meaningful hands-on learning experiences to engage all her students in a safe and nurturing learning environment that celebrates the diversity and the unique accomplishments of each student. “Being an educator isn’t the profession I chose; it chose me. It is simply who I am and what I love,” says Ashley Brown.